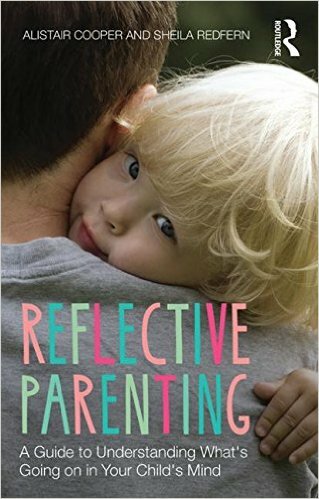 Reflective Parenting: A Guide to Understanding What’s Going on in Your Child’s Mind by Alistair Cooper and Shelia Redfern is a book which gives you a better understanding on why you have been parenting the way you do. To become a better parent you have to first understand your own Parent map. You need to know why you act in a certain way based on prior experience, current experience and future expectations. You also need to know what are your triggers that cause you to lose your head and act out on rash emotions. One needs to know how your emotional thermometer works and what pushes it to boiling point. How to keep your own emotions in check so that you can handle your child’s emotions better. It is not easy to understand and analyse why children feel they way they feel and the Authors have come up with an APP for it. ( APP= Attention, Perspective Talking, Providing Empathy) This APP helps one appreciate what is going on inside your child’s mind and react appropriately. By starting to understand why your child behaves in a particular way you will be able to relate to him better. Understanding his feelings will help him understands his own better and he will learn how to manage them properly in time to come. You will also get to know how to best guide him when he interacts with his siblings/ friends so that he is able to build up close relationships with others. The summaries at the end of each chapter make it easier to reflect on what is being shared in the chapter. It gives one a better understanding of how and what to reflect on so that we are able to enhance our parenting skills. Sometimes as a parent I can be at a lost on how to handle my kids when they start acting up or deviating from their normal behavior. It can be extremely difficult to understand why your child behaves in a certain way and to be able to handle their tantrums in a calm and collected manner is certainly no easy feat. It takes a lot of practice to become a reflective parent and something which I personally am attempting to be. Reading this book has given me a clearer insight to why my children behave in a certain way and how to guide them properly.